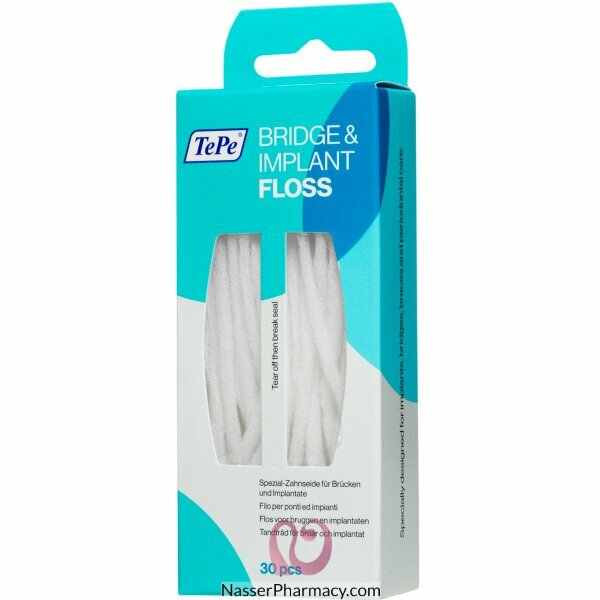 TePe Bridge & Implant Floss is developed for efficient cleaning of implants and orthodontic appliances. Sterile isotonic seawater solution with titrated Propolis extract, for the cleansing, moisturizing, .. DESCRIPTION :Breathe Right® Kids nasal strips are gentle on your child’s skin, so they’re safe enoug.. It is a sterile, ready-to-use saline solution in disposable vials.It is indicated for daily nose hyg..
TePe Bridge & Implant Floss is developed for efficient cleaning of implants and orthodontic appl..
TIGER BALM 19.4 G WHITEFor relieving of headache and stuffy nose.tiger balm for fast and effective r..